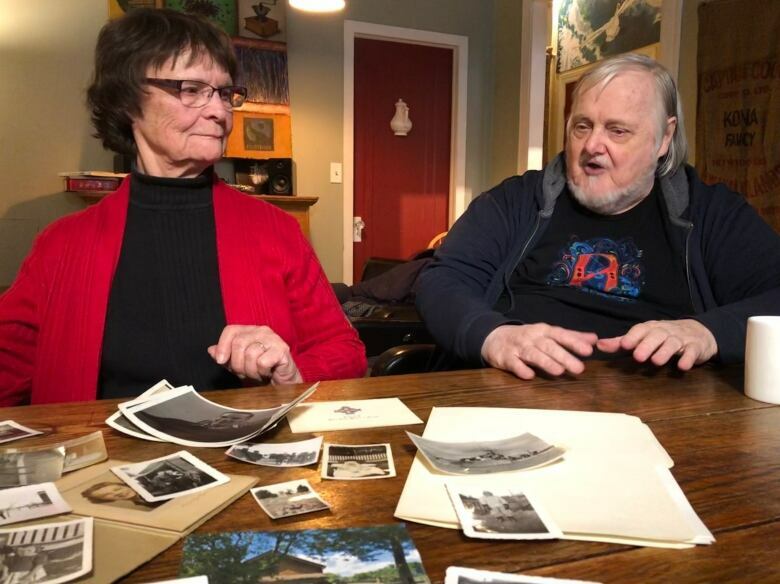 A Second World War buff and a Toronto city councillor are hoping to crack a decades old mystery about a war hero, an old elm tree and a local legend. The story began on Bernice Crescent in the Scarlett Road and St. Clair Avenue West area in the 1940s. A young man named Allen Keith Hodgkinson was one of four children of Violet and Allen Hodgkinson. 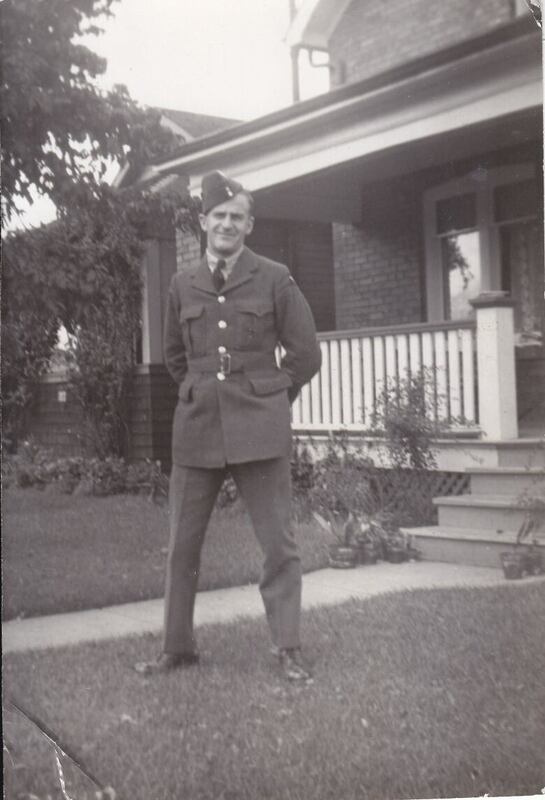 He trained as a bomber pilot in Canada, then went overseas to fight the Nazis. That fight ended in November 1943 when his plane was shot down over Britain. Keith Hodgkinson, 22, and three fellow crew members died in the wreckage, and were buried in Cambridge, England. Bob Carswell was sorting through some boxes and came across a poem he'd written 25 years earlier while he was living on Bernice Crescent. The poem was called The Memory Tree, and it recounts a story he was told by an elderly neighbour. 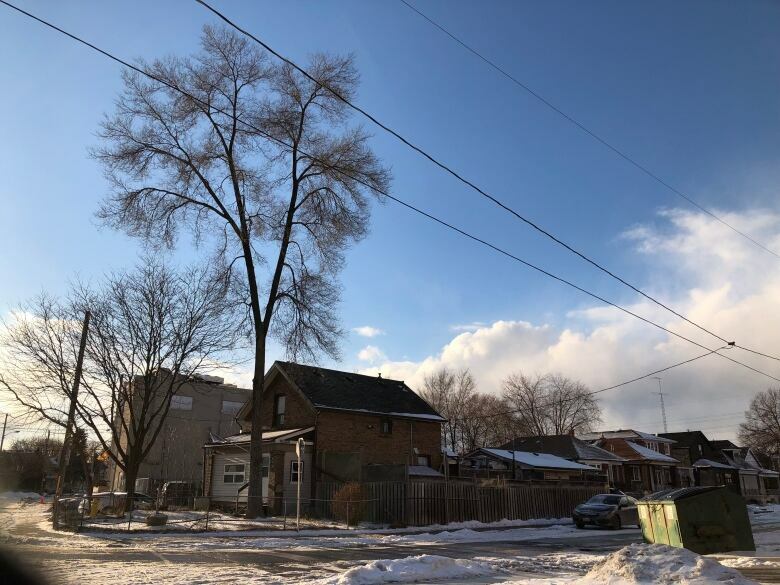 "I'd go over and we'd have these discussions, and one day she told me about this particular tree at 62 Bernice Crescent that was [planted] by the family to recognize the son that never came home from World War Two," he said. "It's such an appealing story." Carswell sent the story to Nunziata's office. 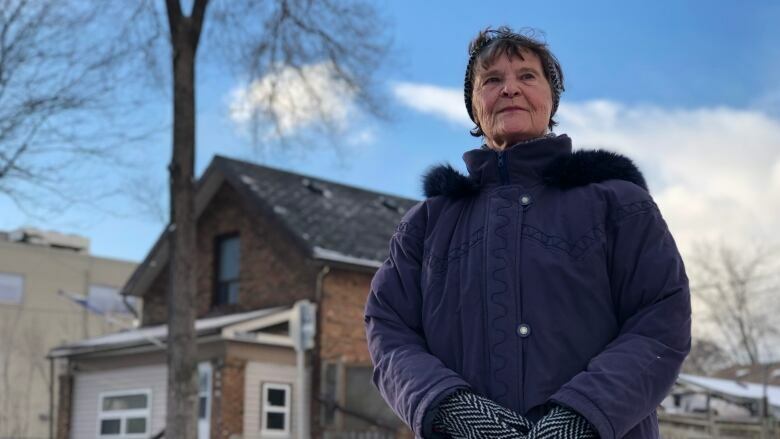 Her staff have approached Forests Ontario for help determining whether the old elm on the front lawn of 62 Bernice Cres. really was planted in memory of Keith Hodgkinson. 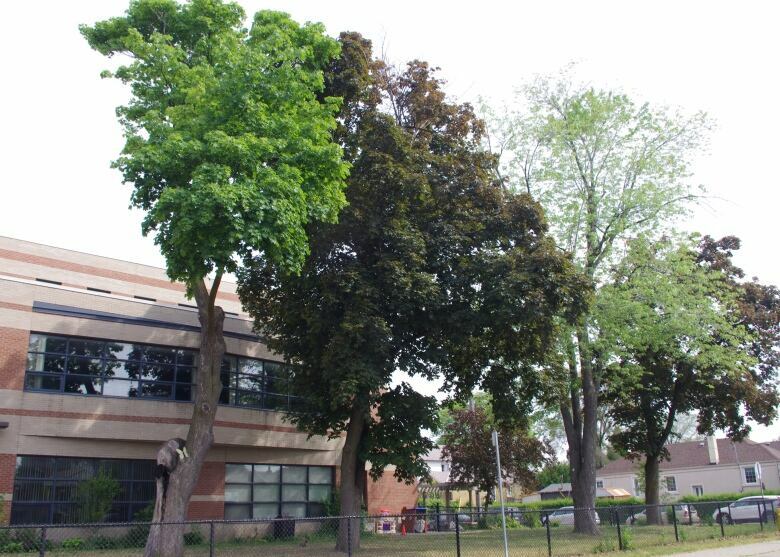 Nunziata's office told CBC Toronto that if the story can be verified, the elm would be designated a heritage tree and preserved. There would also be a plaque recounting the story. And the Hodgkinson family historian says she wouldn't be at all surprised if that story does indeed turn out be be true. Sylvia Irwin, who's now 83, was Keith Hodgkinson's niece. "It was something they would do — plant a tree in memory of their son," she said. "It was a big loss to them." Sylvia Irwin and Bob Carswell discuss the Hodgkinson family history. Carswell recently took the story of the Hodgkinson's old elm to Coun. Frances Nunziata, whose ward includes Bernice Crescent. "I can remember my mother crying," she recalled. "Lots and lots of memories." It wouldn't be the first heritage tree on the street. In 1919, six mothers gathered on the front lawn at Lambton Park Community School, next door to 62 Bernice Cres. It was the first Remembrance Day, and the women each planted a tree in memory of a son that had died in the First World War. "You have to believe that [the Hodgkinsons] knew about these trees, and that's the reason they planted one more," Carswell said. Michael Smee has worked in print, radio, TV and online journalism for many years.